Everyone, I am happy to announce that I have found yet another binge-worthy book! I started this one at about midnight one day, and I ended up reading until 4:00 AM. I just didn't want to stop. It's been a while since I became that addicted to a book, so Hopeless definitely gets some points for that. Honestly, I was expecting Hopeless to be another bad-boy meets good-girl cliche. 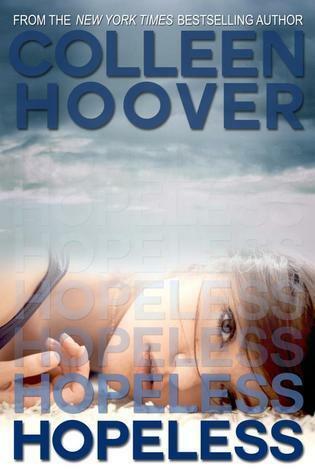 After hearing from others about how swoon-worthy Holder was and how the romance would blow me away, my expectations for the plot kind of plummeted. Thankfully, I was quickly surprised by Hoover's story. 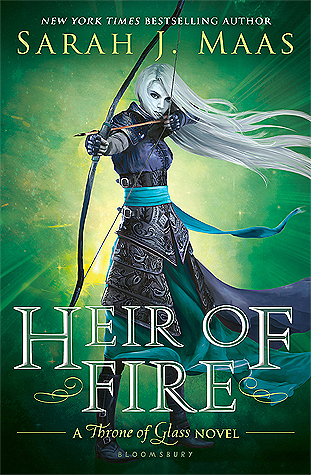 I knew she'd made a name for herself in the world of YA, and now, I can see why. Beneath the passionate make out sessions and general lustiness of the novel, there is an authentic and intriguing story. I was definitely surprised by some of the plot twists, so bravo, Hoover. I love Sky's character. Usually, with a book like this one, I'm too busy swooning over the heroine's hunky love interest to really pay much attention to her. This time, I couldn't stop thinking about how realistic and enjoyable her character is. Of course, she strikes me as more of a 21 year-old than a 17 year-old, but that's true for countless young adult heroines. Sky is sarcastic, witty, a lover of reading and baking, and most importantly, she's not a total pushover. Unlike with Anastasia in Fifty Shades of Grey, I never felt the urge to strange Sky when she ran back into the arms of her lover after a fight. Not going to lie, I mostly picked this one up in hopes of discovering a fantastic love story. I was desperately in need of some shiver-inducing, intense, all-encompassing romance. Thankfully, I found it with Holder and Sky. Sure, parts of it are a little stretched as with most romances, but so much of their relationship was inspiring. Despite Holder's reputation as a bad boy and the struggles Sky faces, the two characters show what it means to be truly dedicated to someone through thick and thin. "Sky, if you're wondering if I have commitment issues, the answer is no. Someday in the far, far, far away future... like post-college future... when I propose to you... which I will be doing one day because you aren't getting rid of me... I won't be marrying you with the hope that our marriage will work out. When you become mine, it'll be a forever thing. I've told you before that the only thing that matters to me with you are the forevers, and I mean that." I won't spoil anything for you guys, but Hopeless tackles some really heavy issues. From explicit sexual content to the darkness of hidden memories, Sky and Holder's story doesn't shy away from intense topics. It was interesting to see how Hoover approached them, and in the end, I think she did a poignant yet tactful job. Still, I shuddered at some of the gruesome details. It's definitely not a story for the faint of heart. Do yourself a favor. Pick up a pint of Ben and Jerry's (trust me, you'll need it for various reasons), and go curl up with Hopeless. It's a fantastically written romance that break your heart, have you swooning, and make you giggle with joy. I've basically spent the past few days trying to convince every single one of my girlfriends to read this steamy novel.